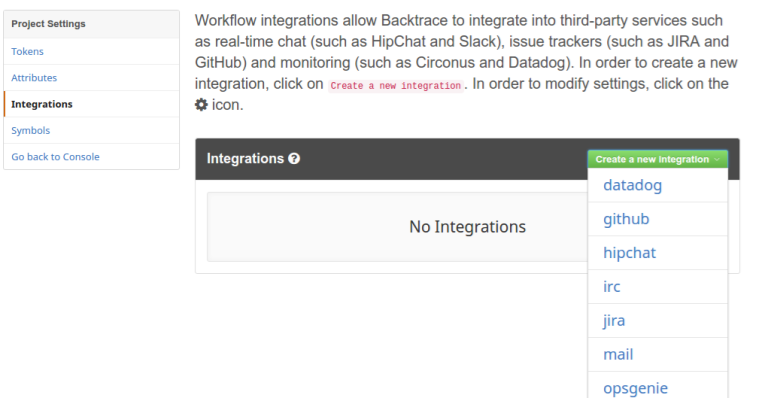 This guide goes through the steps necessary to integrate Backtrace with Hipchat. 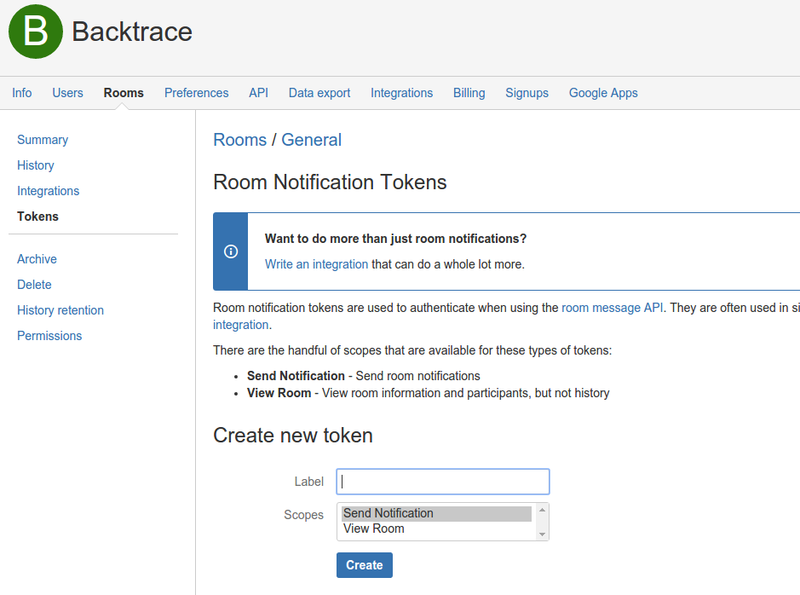 To set up integration for Hipchat, you must generate a room token for each room you want to send messages to. In Hipchat, select "My Account", the "Rooms" tab (https://yourorg.hipchat.com/admin/rooms), then click on the room you want to create a token for. 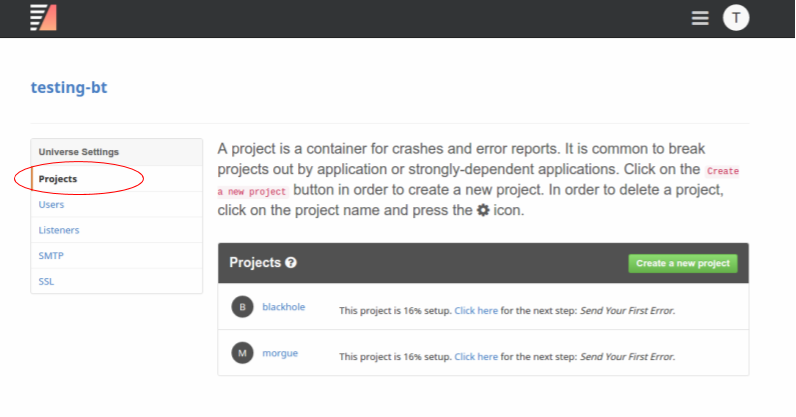 In the navbar on the left, click "Tokens", and look for "Create new token" below. The label you pick will show up as the sender of each message. Make sure the "Send Notification" scope is selected. Once the token is created, you will use it in the next step. For Hipchat, the required settings are the Hipchat API Endpoint, and a list of Room API IDs and their tokens (created above). To get your Room API ID, click on Profile in the menu in the upper-right of Hipchat, then Rooms in the upper-left, then click the desired Room name. 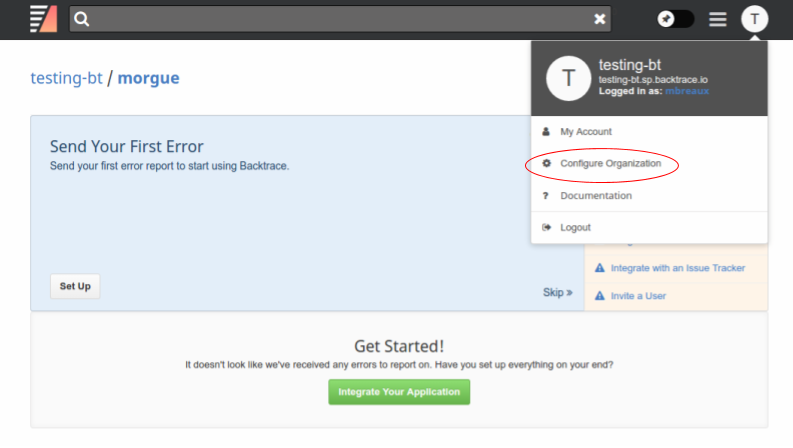 The API ID will be displayed near the bottom of the Room Details list. It should simply be a series of numbers.